In the event of breakdown or accident of the Insured Vehicle the Company will arrange to tow or transport the Vehicle to the nearest repairer. The maximum amount payable is: US$ 150 in respect of towing and US$300 in respect of removal of the Vehicle necessitating the use of crane. No amount shall be payable under this benefit in respect of repair costs to the Vehicle. Flat or leaking tires will be removed and replaced free of charge, although the Beneficiary will be responsible for repair costs to all damaged tires, This benefit is given only if the Insured Vehicle is on the road and not at the usual place of residence, and the spare tire is available and in good condition. 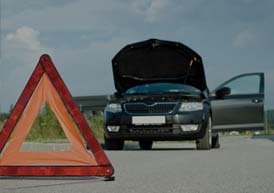 If the insured vehicle’s battery is down, the Company will ensure it will start up the Insured Vehicle (Jump start) so that you can get to the nearest workshop. In the event that the insured vehicle’s key is locked inside the Vehicle, the Company will provide assistance to unlock the Vehicle. If the Insured Vehicle runs out of fuel, the Company will ensure that enough fuel reaches you, so that you can get to the nearest service station. The Insured will pay for the cost of fuel. Hotel expenses up to US$ 100 per Beneficiary per night to maximum of three days if the accident cannot be repaired the same day, according to the certificate issued by the workshop. Travel costs incurred in returning the Beneficiaries to the Usual Place of Residence or the intended destination, if the repair time exceeds 72 hours following the accident. Should the Beneficiaries decide to continue their journey the company will meet the cost of travel to the original intended destination provided the cost is not greater than that referred to in paragraph 6 (b) above. 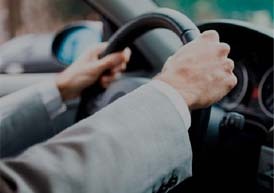 In the event of the theft of the Insured Vehicle, the Company will provide the same Benefit as in paragraph 6 above, provided the matter is immediately reported to the police. The cost of transporting the vehicle to the Beneficiary’s Usual place of residence. 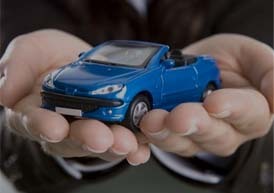 The cost of deposit and custody of the repaired or recovered vehicle up to US& 150. The travel costs incurred by the Beneficiary or who ever he appoints to retrieve the Vehicle to the Usual Place of residence from the place of breakdown or accident.